KLM and Air France dropped the prices from Edmonton to virtually everywhere they fly in Europe, Tunisia, and Morocco down into the $500s roundtrip including taxes today. 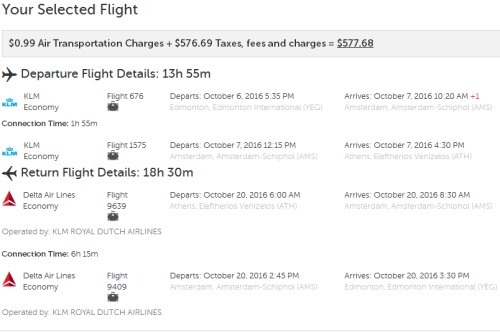 KLM has dropped their non-stop flights from Edmonton to Amsterdam, Netherlands down to $550 CAD roundtrip including taxes between September 2016 and March 2017. With the Flight Centre promo, it should be possible to book these flights for $450. At the moment, relatively low prices in the $400s and $500s roundtrip are still verifying on Expedia from Edmonton to Barcelona. The situation may be the same for other destinations. This likely won't last too much longer! 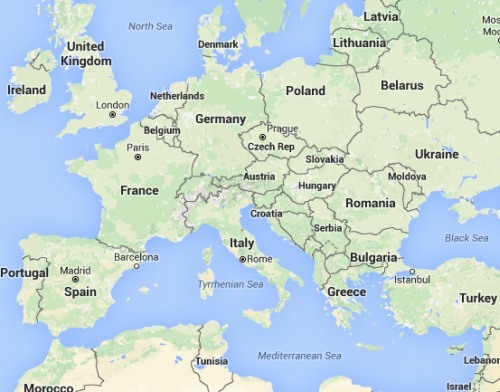 3 Responses to "Madness from Edmonton to Europe, Tunisia, and Morocco! Insane prices to many, many places in the $400s and $500s roundtrip including taxes"
Thanks for the info. Was able to book tickets from yeg to Barcelona in September through Flight Centre for $373 cad each return including taxes. Excellent! Incredible price. Have a great time in Barcelona! I just missed it, the deals were not only for Fall, but also starting Aug 23 - I was looking at a flight to Poland for $530 and could not make up my mind as it had 3 stopovers. That was last night, now the low price is gone :( Back to $1400. I'm devastated. Chris, how do you find these deals?